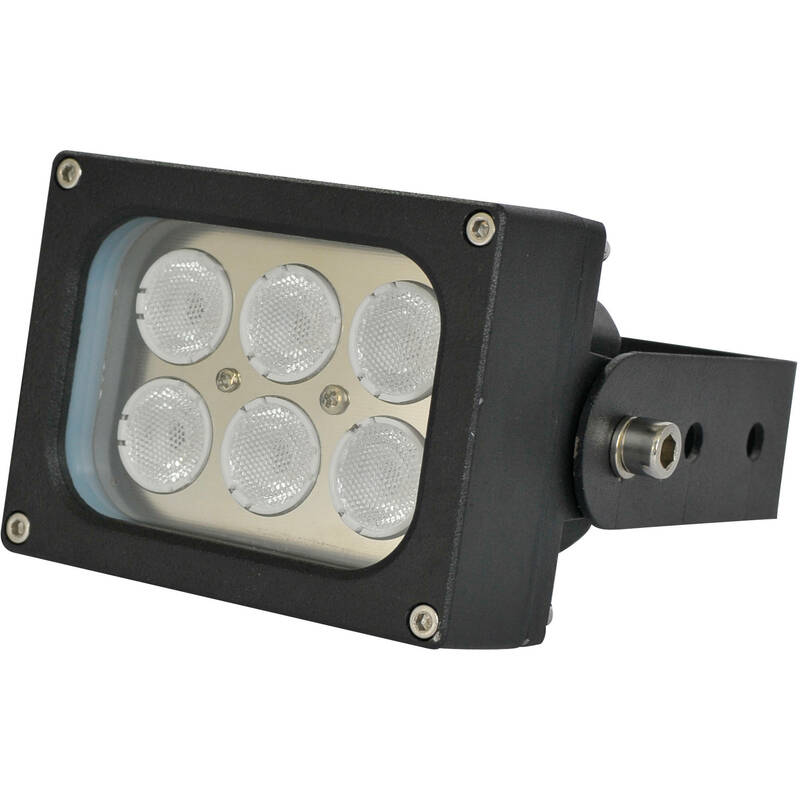 The black powder coated WLC99 Series Short-Range White Light Illuminator from Iluminar is designed to provide visible lighting for color CCTV cameras. It employs 6 SMT (Surface Mount Technology) white LEDs that provide illumination up to 43' (13m). This IP66-rated illuminator is vandal-resistant and can be installed both indoors and outdoors. Its die-cast aluminum housing and tempered glass panel provide protection from harsh weather conditions and rapid temperature variations ranging from -40 to 122°F (-40 to 50°C). The illuminator features dual power input (12 VDC or 24 VAC) and automatic light on/off via built-in photocell. Tested using Sony 1/3" CCD camera with 0.01 lux. Distance may vary due to camera and lens specifications.